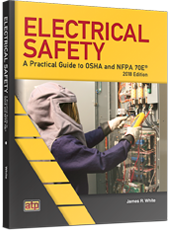 Electrical Safety: A Practical Guide to OSHA and NFPA 70E® is a comprehensive overview of electrical safety in the workplace. Both OSHA regulations and the NFPA 70E® 2018 standards are covered to provide a clear overview of proper electrical safety procedures. The information provided helps learners understand how to reduce risk and avoid electrical hazards in the workplace while still being productive, which makes this textbook a valuable training tool for trainers, contractors, safety officials, and electricians in the field.